Like most things Google (I'm a heavy user of Gmail, Google Maps, Blogger obviously, and of course, search! ), this app is quite nicely thought out. The boys probably did their homework, found out what features users liked about their browser, and tried to incorporate them into one 'simple' browser... and out came Chrome. The installation was a breeze. I read the end user agreement, agreed (as if you'd disagree?!) and proceeded. After a couple of clicks, I practically left it by itself to do its own thing. A few minutes later when I came back, it was done. And by 'done', it meant Chrome had imported all my favourites / bookmarks, browsing history, IDs and passwords.. the works! When I started browsing in Chrome, it seemed like I'd been using it for ages! Its a bit freaky if you think about the security aspect... but hey, for the majority of users, they'd appreciate the seamless migration! Oh, and a plus point was that Chrome didn't try to muscle its way to be THE DEFAULT browser. Its happy playing second fiddle if you tell it to, and won't complain. Aah, sweet silence! More than just for URLs -- you can type in anything in the 'address bar' and Chrome will automatically find best URL matches, or Google searches in one go. You just need to decide which one you want. 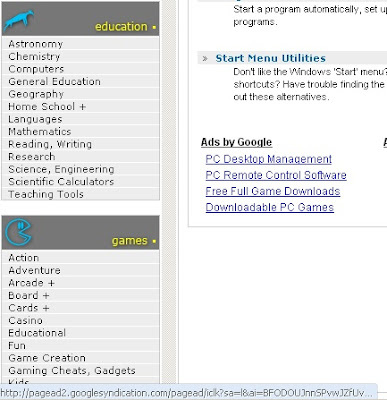 This does away with needing a Google bar or needing to first go to the Google site to perform a search. All your favourite sites in one glance... sweet! 'Intelligent' password storage -- This sounds fancier than it really is, but the slight tweak makes a world of difference. You know the nifty feature that IE and Firefox has? The one that prompts you if you want the browser to remember an ID and PW you just keyed in? The two browsers ask you that question the moment you enter the ID and PW. That's fine, if you had entered the right info... but what if you were guessing, and were not sure if you keyed it incorrectly? Chrome instead waits till you have successfully moved on (i.e. logged in) to the next page before asking you. That way, you'd know what you are asking Chrome to remember is indeed a correct one. Just a slight delay, but yields brilliant results! Clean screen, really! -- Okay, some may actually find this feature a bit unnerving. Chrome takes up very little screen space. Icons are minimalist, there isn't even a menu bar... just like the Google search screen, clean and simple. Peekaboo! -- In line with the clean screen, there isn't even a status bar at the bottom. If you're used to peering down at the status bar for link information and loading status, you'll notice Chrome still has that but is hidden mostly. It only pops up when there is something interesting to tell you. 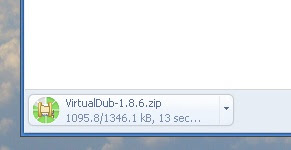 Downloading simplicity -- Again, a little window pops up at the bottom left corner, giving you the status (KB complete) of whatever it is you're downloading. And when down, it sits quietly there until you decide on what to do with it. Firefox would have needed a little add-on to do that while with IE... well, I don't really care how IE does it actually! Far from it, but it has a good chance of getting there some day! Chrome may sometimes get distracted and either refuse to or forget to load a page. Take TheStar for example... nothing difficult or weird about this site, but for some reason, Chrome took a couple of retries before it could load the page. I'd also faced some difficulty with the some of the trickier pages in Facebook and MyBlogLog. So what's next... dump Firefox (or whatever is your favourite browser) for Chrome? Again, not quite. Being still in Beta, means that there are practically no add-ons and nifty things you can install to enhance Chrome's features. I'm guessing its a matter of time that all those add-on builders who've been contributing to the vast selection of nifty gadgets for Firefox start building the Chrome equivalent eventually. Anyway, as Chrome is still at a relatively early stage of development, things should only get better... especially with the vast resources that Google has at its disposal. So stay tuned and watch out for even more goodies from Chrome. It's so far so good for me. Still using Firefox for serious stuff and Chrome for surfing... its actually quite fast in some areas. 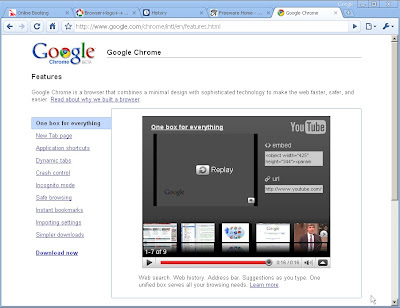 Thanks for your blog on the Chrome - very interesting and informative. Tried Chrome over the weekend and I must say, it's much much faster than IE or Moz. Agree with you tho that it's still lacking in features....but the speed makes up for it! Honestly Sting, if we all read and understood all user agreements, chances are we won't install most of the stuff anymore!! I've been using Chrome for a few months now and like it a lot--particularly for pages with lots of java. My primary use, however, is for my Google Apps/Gmail account--which is noticeably faster in Chrome. Being that Chrome is a Google product, I expected better integration with its other products. Specifically, most of the functionality that the Better Gmail (2) add-on brings to Firefox. This is my only gripe so far. Otherwise it is a great product! You know what, I have to agree with you. Chrome seems to grow on you the more you use it. And yes, I've also noticed that it works faster on Google Apps.... no surprises there, huh! Also, in the past few weeks, I've noticed that Firefox has been acting a bit weird... if left alone, it starts to chew up lots of CPU (50% even!) while apparently 'doing nothing'. Nice post.Well i must say that i have been using chrome for many days.Its really very good and have quite good features.